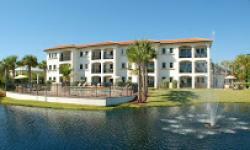 The Sebastian Riverfront Resort in Sebastian, Florida, is just a mere few steps away from the Indian River Lagoon, and offers excellent Vacation Rentals for travellers and families. Our Vacation Rentals consist of 12 Mediterranean-style villas that have been elegantly decorated and equipped with all home comforts. 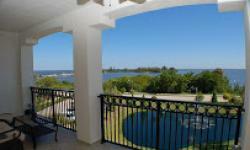 This riverfront Resort was completed in 2007, and all units have spectaculer views of the Indian River Lagoon. Sebastian Riverfront Resort offers numerous comforts and amenities, and with the waterfront balconies, visitors will be mesmerised by the stunning sunrises and perhaps the odd pod of dolphins lazily swimming past your vacation rental.